OFFline Film Festival has just announced a new strand to their dynamic festival. Alongside the (in)famous short filmmaking challenge, the festival will now be hosting a competition for short films made in the last two years. The shortlisted films will be screened at the festival and judged by a panel of international judges with the winning film bagging €1,000 in equipment rental prize funds. “We got a lot of requests from filmmakers who had already made short films and who wanted to submit them to OFFline – and not just from filmmakers who were making a short during our festival” commented festival director Gary Hoctor. “We believe this will really add to the enjoyment level of our festival. We already get lots of filmmakers coming to Birr for the filmmaking challenge and the film workshops, but now the Festival will have the added dimension of this shorts competition.” The awards ceremony takes place amid the heady atmosphere of the filmmaking challenge awards and is the ultimate culmination of this five day film frenzy. OFFline Film Festival takes place 10th – 14th October in Birr, Co Offaly. 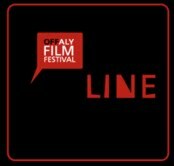 For more details check out www.offlinefilmfestival.com.